skin remedies : the products. | escaped. skin remedies : the products. Happened to stumble upon my old entries about skincare. Boy, I do ramble about nonsense sometimes..hehe. But it makes me realized it's been long since I last rant about my skin, which I take as a good sign. Looking at those old photos of my skin, I can't help but cringed. Did I seriously live with those spots on my face..no wonder everyone took extra precaution not to touch the skin issue with me. I had zits almost as big as my thumb, no kidding. Even Mum was scared. So during those dark period I've used three products; two of which I've mentioned before - Clinique and Dermalogica. One product I haven't mentioned - Clinelle. Let me take you one by one. My sister is using this one, and she's been raving to me the quality of the product and how her skin has transformed. To be fair, I saw her skin changing - and that was the main reason I tried the product; the 3-step range specialized for acne prone skin. Result : stopped using after 2-3 weeks. The toner was way too harsh on my skin, the salesgirl kept changing my facial wash type (you can choose if your skin is oily, normal or dry; the salesgirl gave me the oily type the first time and normal type after that. I mean, if you don't know your product and your customer very well, you bloody well don't be behind the counter.) After realizing how messed up the combination of facial wash, toner and the moisturizer were, I decided to stop using it. But since my sister is using it and her skin is still fine, I guess it works differently on various type of skin. Just never leave your product type selection to the salesgirl - whatever their opinion is, you know your skin better. Used this one after doing facial at Aster Spring, and it was recommended by the dermatologist there. I think people used to do facial would be familiar with this product because it's so bloody expensive! Decided to purchase the whole range as a starter kit after my first facial. Results : way too mild for my skin. I think this product is meant to take its time to work on a person's skin; however I'm not that patient lol. Despite claiming with no use of any chemical whatsoever, I don't really like the smell I don't know why. Tossed this away after 2 months cause I couldn't stand the smell (especially the hydrating mask - what on earth do they put in that?!) and I don't have the patience. Switched to this after getting frustrated with Dermalogica range. Went into Guardian, asked the pharmacist what would be good for acne prone skin, she took a look at my super red blotched skin and suggested this. "It has no chemicals, not too mild, will get rid of those pimples" was what she told me. Desperate, I had no choice but believe her - thought it couldn't do any worse. She recommended me to use the complete range - cleansing gel (facial wash), toner, moisturizer. Results : been using this for 10 months now, and never thought of changing to anything else. Despite coming with low price tag (compared to the previous two) it works wonders - I rarely get pimples after using it for about a month, the scars are even fading away now, smells great too. Oh my God, if they dare to discontinue this product, I swear I'd cry. Bought 3 tubes before I went to Amsterdam for the whole 3 months I was there cause I didn't dare to change to anything else. To be fair, I still think different product works differently on different type of skin - so what might work for you won't necessarily be the same with anyone else. But I've been at a place where I was so desperate to get rid of those zits and pimples I'd try anything; so if you're at that place too, I know perfectly well how you feel. So if you're looking for good product to try, might as well try Clinelle cause it works on me when even Dermalogica couldn't. And it doesn't cost as much either! 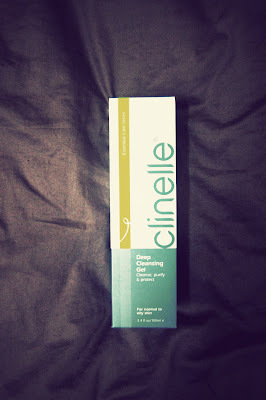 Clinelle's price range : RM30+ for cleansing gel, RM20+ (I think) for toner. 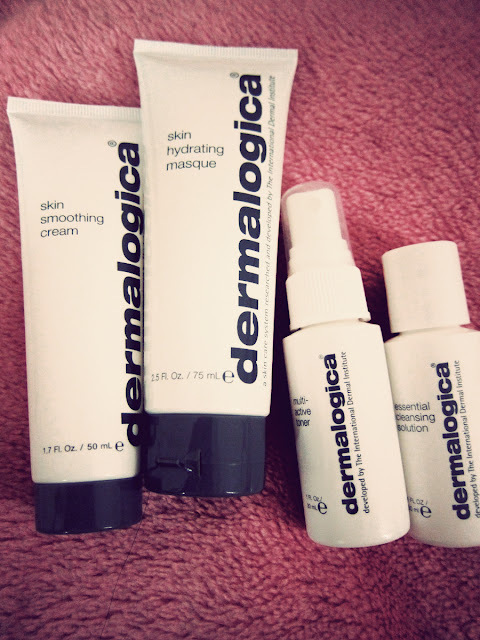 Dermalogica is the best facial products I've ever used. I just want to share with you that I get my Dermalogica facial products from LahBeauty.com. They offer the best price in town.